It will once again all come down to this dramatic final weekend of the season to decide the 2015 World Championship Title for the Men, and establish podium positions overall for the women, as Turtle Bay is once again set to deliver a show like no other. With a solid NW swell (6 – 8ft faces) coming in on Saturday and holding through Sunday, we are looking at ideal conditions for the racing, with exciting surf conditions and ideal wins: tradewinds will be blowing hard on Saturday for the long distance, but then backing off on Sunday for the Sprints – the ideal scenario. Since its inception, the World Series Finals presented by Naish has delivered the most exciting racing imaginable, with Turtle Bay proving itself as the ultimate aquatic arena, with the ultimate viewing experience on offer for spectators on site and online, as the action all unfolds right out front. Make sure to join us LIVE on Sunday for the World Series Sprints from 12pm at www.watermanleague.com and for the social media updates and highlights package from the Long distance Race on Saturday as history is once again made on Oahu’s Fabled North Shore. A familiar, but never more exciting story is emerging as we come into the Final stage of the 2015 World Series where we see the sport’s front runners going head to head for the 4th year running to determine the World Title. Connor Baxter (Starboard) started the year strong, with a flawless and dominant performance at stop #1 in Barcelona, Spain, clearly carrying the momentum of his 2014 World Title into this new year. In Japan, it seemed that Connor was going to cotinue this theme, with a solid performance on Day 1’s distance race, where we saw him take the win, but with Kai Lenny (Naish) close to his heels. However, the tide turned on Day 2, as Kai turned it on in the Finals of the Sprint Racing, and in one of the most dramatic flat water sprint races yet, Connor slipped from 1st to 3rd rounding the final buoy, allowing Kai and Casper Steinfath (Naish) the opportunity to break through and take 1st and second respectively, relegating Connor to 2nd overall for the event and leaving the two with a win a piece coming into the US Open of Stand Up Paddling. In Huntington, Kai continued his momentum, dominating the long distance and taking a bullet win in the sprints, to give him the overall win and propell him into the yellow jersey position coming into Turtle Bay. However, it is a race to the finish, as Connor is sitting with a 1st a 2nd and a 4th, and a win here would create a very interesting scenario, with both athletes having two firsts and a 2nd as their counting results, regardless of how Kai does here. Should this happen, it will then count back to their 4th result, so this will depend on how Kai does here to break the tie should this scenario happen. 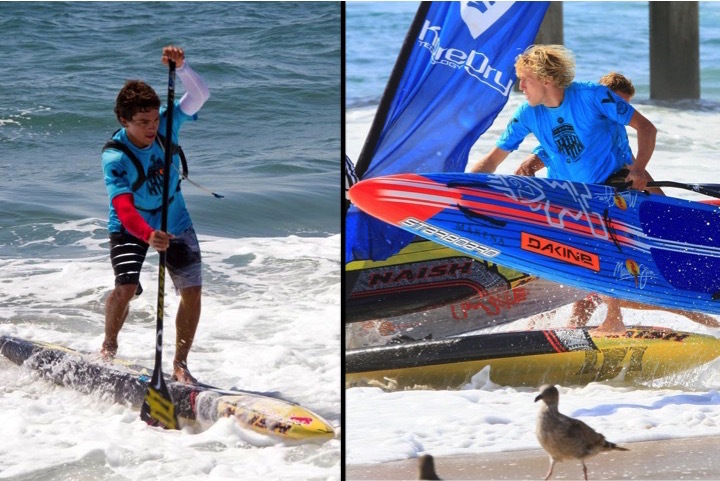 While both Mo Freitas (Focus SUP) or Casper Steinfath (Naish) are now out of the Title Race coming into the Final event of the year, they have both clearly made a statement of what they are capable of and will be battling for that podium finish between them. Casper has had a stellar year, kicking off with the European Cup Title and a strong start to his World Series campain in Barcelona, then finishing on the podium in both Japan and California, with two 3rd place finishes amidst the World’s very best athletes. Casper has come into his own in 2015 and is clearly on a roll at the moment and will be wanting to finish the year strong by making the podium here at the prestigious World Championship Final event at Turtle Bay. 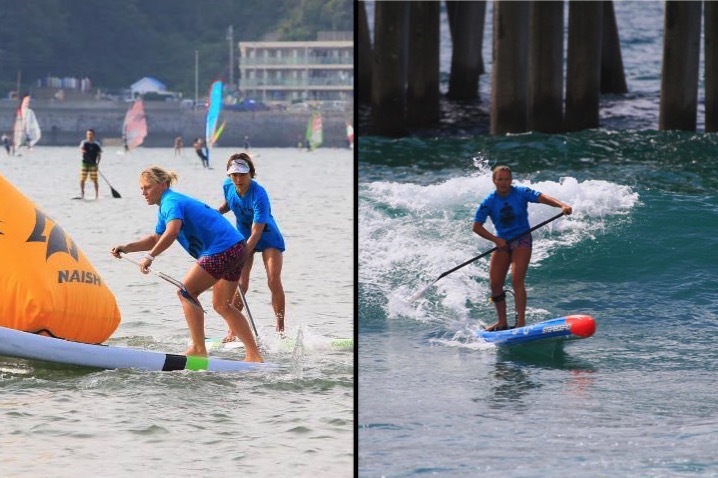 Mo missed the first event in Barcelona, but put on a stellar performance in the long distance race in Japan and posted 7th, but then stepped up in the more surf driven conditions in Huntington to finish an impressive 2nd place overall at the US Open. Given that he is coming home to the North Shore for this final event and with an exciting surf forecast in place, Mo will be feeling good about finishing the year on a high. Like Casper, a strong finish here could secure a podium finish for the young talent from Haleiwa, so he will have all his focus on this weekend’s racing to cap what has been a spectactular year for Mo. It has been a spectacular year for Candice Appleby (Infinity), as she has proved dominant across the board at all stops on the World Series, with 3 bullet wins this season allowing her to secure the Title prior to the Final event of the year out here at Turtle Bay. It all started in Barcelona, with a solid performance on her maiden trip to the City, and was backed up by an epic display in Japan, where she once again took victory, securing bullet wins. 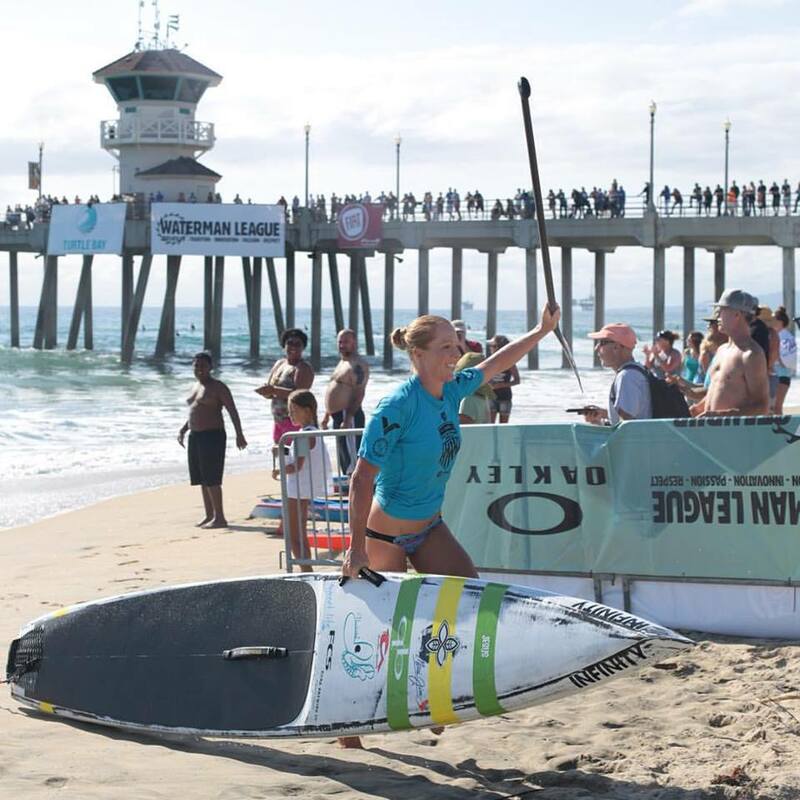 The hatrick was them completed on coming home to Southern California where Candice was able to repeat her last year’s victory at the US Open in her favored surf conditions. 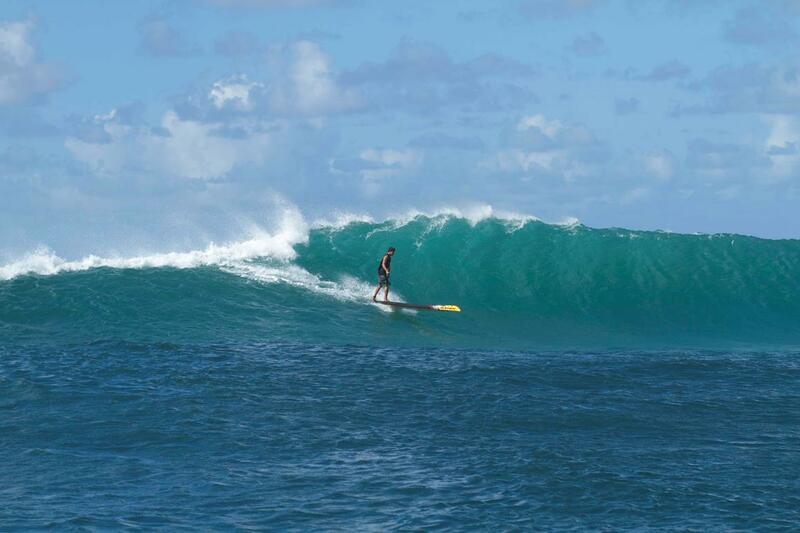 While the World Title may be well secured in Candice Appleby’s (Infinity) hands, the battle for second thru fifth is well and truly on, as at the top of the race, Fiona Wylde (Starboard) and Angie Jackson will battle it out for contention at this all important World Series Finals at Turtle Bay, presented by Naish. Both athletes need a solid 3rd result to back up their top 2 to determine their overall positioning for the year, so it will all come down to the dramatic finale at Turtle Bay to decide it all. However, these girls are not alone, as we see serious global contenders come together with local dark horses to make for a showdown to remember here on Racing’s final weekend. Watch out in particular for the young talent from Maui, Lara Claydon (Starboard), who excels in the surf focused conditions, but also the ever dangerous local Oahu talent Rachel Bruntsch, along with the leading German Contender and part time Maui local, Sonni Honscheid. 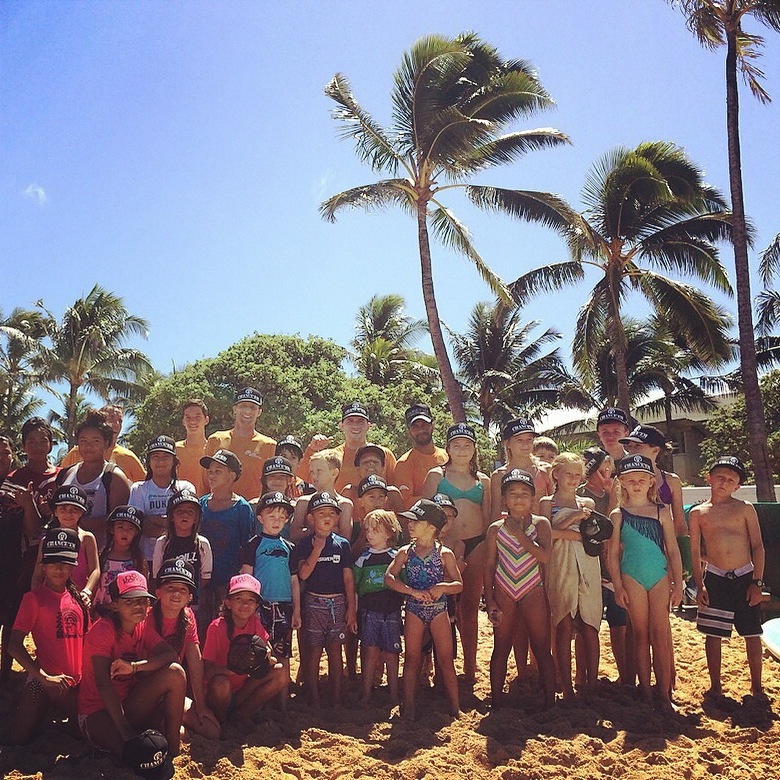 Returning home to Hawaii, also means returning to the roots of the organization Na Kama Kai, dedicated to providing ocean sports and education opportunities for Hawaii’s youth. While we take this message and opportunity worldwide through the World Tour and Series, the opportunity to host a clinic at Turtle Bay Resort in conjunction with the Founder Duane DeSoto is an honor. So we welcome you to join us to support Na Kama Kai whether it be for the clinic itself here on the North Shore, or online at www.nakamakai.org, as the organization continues to deliver an inspirational message and unique opportunities to children all over Hawaii and the world. « Connor Baxter Wins the 2015 Pacific Paddle Games!